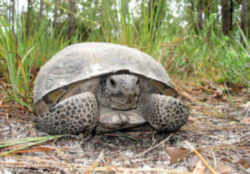 Florida designated the endangered gopher tortoise (Gopherus polyphemus) as the official state reptile in 2008. Native to Florida, the gopher tortoise belongs to a group of land tortoises that originated in North America 60 million years ago. This tortoise digs burrows up to 40 feet wide and 10 feet deep providing year-round shelter from predators and inclement weather for more than three dozen other animal species. 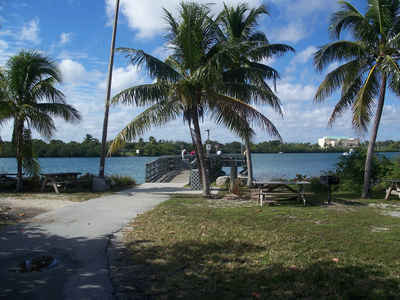 In Florida, the gopher tortoise is listed as Threatened. Both the tortoise and its burrow are protected under state law. Gopher tortoises must be relocated before any land clearing or development takes place, and property owners must obtain permits from the FWC before capturing and relocating tortoises. The gopher tortoise (gopherus polyphemus) is a member of the class reptilia. Its carapace (top of shell) is grayish-brown and unmarked in adults, while its plastron (bottom of shell), legs, head and neck are golden-yellow. The gopher tortoises can be found throughout the state of Florida and southern areas of Georgia, South Carolina, Mississippi, Alabama and the tip of Eastern Louisiana. They dig their burrows in dry habitats. The gopher tortoise grows on average to be about slightly less than one foot long and weighs about 29 pounds, though they have been found to be as big as 16 inches. The gopher tortoise is unique in that it is one of the few tortoises to actually make large burrows. Many tortoises hide under vegetations or use very shallow burrows. The gopher tortoise is a turtle as all tortoises are turtles, but not all turtles are tortoises. Ray Ashton states in his literature for the GTCI, think of them as a cow with a shell. They graze on vegetation just like cows, and therefore, are important players in spreading seeds. Gopher tortoises also have chiseled looking front feet (flippers) and elephant like hind legs. Gopher tortoises dig burrows - typically ranging in size from 20 to 30 feet long and from six to eight feet deep - with their shovel-like front legs. Biologists have found some burrows as big as 40 feet long and 10 feet deep! The burrows are found in dry places such as sandhills, flatwoods, prairies and coastal dunes or in human-made environments such as pastures, grassy roadsides and old fields. The gopher tortoise is a keystone species, meaning its extinction would result in measurable changes to the ecosystem in which it occurs. 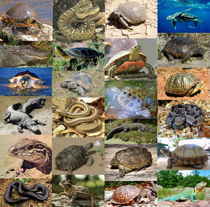 Specifically, other animals, such as gopher frogs, several species of snakes and several small mammals, depend on tortoise burrows. For the gopher tortoise to thrive, the animal generally needs three things: well-drained sandy soil (for digging burrows), plenty of low plant growth (for food) and open, sunny areas (for nesting and basking). The gopher tortoise is found along the dry sand ridges of the southeastern Coastal Plain. 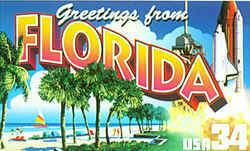 In Florida, tortoises are found in the panhandle and along the southeastern coast. 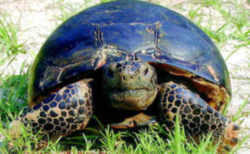 Tortoises are also found in the southern parts of South Carolina, Florida, Alabama and Mississippi. Gopher tortoises usually mate during April and May. Shortly after mating, the female lays between three and 15 eggs, either in a sandy mound in front of her burrow or a nearby sunny place. 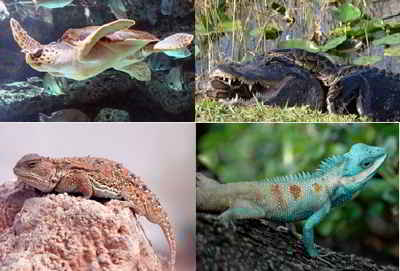 The eggs mature and hatch from 70 to 100 days later. The hatchlings spend much of their time in their mother's burrow until they're old enough to dig their own. They don't reach maturity until they are between 10 and 15 years old, when their shells are about 9 inches long. Gopher tortoises usually eat low-growing plants found in bright sunshine, primarily grasses such as wiregrass. Some tortoises have been known to eat gopher apples, blackberries and other fruits. Gopher tortoises will also scavenge and are opportunistic feeders, occasionally feeding on dead animals or excrement. 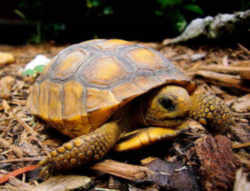 15.03861 Official state tortoise.- The Gopher Tortoise (Gopherus polyphemus) is designated the official state tortoise. History.- s. 25, ch. 2008-229.